diverter with 1/2”M flexible pipe fitting included and sliding bar. LINEARDRAIN IN-TILE 100x300 mm con coperchio reversibile piastrellabile, TOP VALVE e Base. Uscita laterale ø 40mm. AISI 304. I have read the Privacy Statement and give my consent to the processing of my personal data for the purpose of receiving the newsletter sent by Mariner Rubinetterie srl and Design by Water, in accordance with the Privacy Statement. The terms and phrases listed below have the meaning indicated below, it being understood that the terms defined in the singular are also defined in the plural and vice versa. ● Customer: means any subject (natural or legal person) who purchases one or more Products through the Online Store, accepting the General Conditions. ● Design by water: means Mariner Rubinetterie srl with registered office in SS 33 del Sempione, 28883, VAT number: IT01377080039 Gravellona Toce, ITALY online store of Mariner Rubinetterie srl for the retail sale of products. ● Parts: means jointly Design by water and Customers. ● General Conditions: means the present general conditions of sale and any future new versions that may be published in the On-Line Shop by Design by water. ● On-Line Shop: means the virtual shop, managed by Mariner Rubinetterie and accessible through the URL http: // design by water.com, through which it is possible to purchase the Products. ● Sale and Purchase Agreements: means the purchase and sale contracts of the Products concluded, pursuant to art. 3., between Design by water by Mariner Rubinetterie and Customers through the Online Store. ● Orders: means the purchase orders of the Products sent by the Customers, in accordance with the General Conditions and following the procedure set out in art. 6. ● Order Confirmation: means the e-mail message through which Design by water communicates to the Customers the acceptance of the Orders. ● Price: means the sale price of the Products as indicated in the Online Store in correspondence with the Products themselves. ● Products: means the products published in the Online Store for the purpose of their sale. 2.1 The General Conditions govern all the Sale and Purchase Agreements and constitute an integral part thereof. 2.2 Design by water reserves the right to modify the General Conditions at any time, without prejudice to the fact that those published in the On-Line Shop will be deemed applicable to the Sale and Purchase Contracts at the time the Orders are sent by the Customers. 2.3 In the event of a conflict between the General Conditions and any other terms and conditions relating to the Sale and Purchase Agreements published in the On-Line Shop, the most favorable terms and conditions for Customers will apply. 3.2 The Sale and Purchase Agreements are concluded between the Parties when the Customers receive the Order Confirmation. If the Customers do not receive the Order Confirmation within the period indicated in art. 3.1, the related Order must be considered rejected by Design by water and, therefore, without effect. 3.3 By sending the Orders, the Customers declare that they have read all the instructions regarding the method of purchasing the Products as per art. 6 and to have fully accepted the General Conditions and to have read all the additional information contained in the On-Line Shop, also referred to through links. 3.4 The Orders will be filed in the database of the On-Line Shop, according to the procedures and in compliance with the provisions of Legislative Decree no. 30.06.2003 n. 196 ("Privacy") and will be accessible by contacting Design by water to the references referred to in art. 16 or accessing the Profile. 4.2 The type of Products published in the On-Line Shop and their availability may vary at any time without this implying any responsibility for Design by Water towards Customers. 4.3 In case of unavailability of a Product indicated as available at the time of sending the Order by a Customer, Design by water, without prejudice to the provisions of art. 3.2, agrees to indicate to such Client, in a subsequent communication by e-mail, the times provided for a new availability of the Product / s object of the Order sent by the Customer or to proceed with the refund of the unavailable Product. 4.4 Design by water reserves the right not to indicate the availability of some products published in the On-Line Shop. 5.1 The applicable price is the one published in the On-Line Shop at the time the Orders are sent by the Customers. 5.3 The price includes shipping costs. For organizational reasons of Design by water the delivery of an order including several products could take place with separate shipments. 5.4 Any taxes, duties, and other charges provided for by the laws of the State where the Products are shipped and delivered will be entirely borne by the Customers and paid by them upon delivery of the Products, directly to the competent tax or customs authorities or to the appointed courier for delivery. 6.1 In order to proceed with the sending of Orders, Customers are required to register in the Online Store by entering all the "mandatory" data and choosing a password to send the Orders and to access, even at a later time, their Profile. 6.2 Customers can purchase the Products by selecting them in the On-Line Shop section dedicated to the type of product they are looking for and inserting them in the "shopping cart". If the Products that Customers wish to purchase are more than one, the same procedure above must be repeated. Once the Products have been chosen, Customers must, if they have not already done so, proceed with the registration as per art. 6.1 or, if already registered, they must authenticate by entering the e-mail address and password in the spaces provided and click on "checkout". Having verified the correctness of the data relating to the chosen Product (s) and the "sending information", Customers must choose the payment method pursuant to art. 7. Choosing the payment method, Customers can proceed with the sending of Orders by clicking on "proceed to purchase". 7.1 Customers can pay the price and the contribution for the shipping costs referred to in art. 5 by credit card, PayPal, bank transfer or other means of payment that may be indicated by Design by water in the Online Store. Design by water reserves the right to change, at any time, the means of payment that can be used by the Clients, provided that the ones published in the On Line store can be used at the time the Orders are sent by the Customers. 7.2 In case of payment by credit card, the charge to the Customers of the Price takes place, verified the data of the credit card and received the debit authorization by the company issuing the credit card used by the Customers, at the same time submission by Design by water of the Order Confirmation. The data of the credit cards sent during the execution of the Orders are protected and are sent directly to the banking company that manages the payments. Payment is made directly on secure server, with SSL encryption key in order to guarantee the absolute security of the transaction. The credit card details are not accessible by Design by water or third parties, neither at the time the Orders are sent nor afterwards. 7.3 In case of payment by bank transfer, Customers must transfer to the bank details indicated in the Online Store, indicating in the reason for the order number (including the initial letters) communicated by Design by water at the time of sending of the Order by the Customers and in the Order Confirmation. 7.4 In case of payment via PayPal, when the Customer sends the Orders, the Web session will be transferred to PayPal's secure website. On this website, Customers can complete the payment of the Price using their PayPal account and according to the conditions of use of the PayPal service subscribed by Customers at that time or previously. The payment of the Price on the PayPal account takes place simultaneously with the sending by Design by Water of the Order Confirmation. 7.5 If requested by the Customers at the time of sending the Orders, Design by water will send the Customer an invoice, by e-mail or post. For the purpose of issuing the invoice, the information provided by the Customers shall prevail. No change of the invoice will be possible after its issue by Design by water. 8.2 Guarantees the shipment of Products, in the States indicated in the On-Line Shop, by express couriers selected from time to time depending on the Product object of the Order and the place of destination. The Products are shipped from Design by water, and delivered by the courier selected by Design by water, at the address indicated by the Customers at the time of registration as per art. 6.1 or at a different address indicated at the time the Order was sent. 8.4 The delivery terms pursuant to art. 8.3, can not, in any case, be considered binding and Design by water, not being able to directly control the deliveries of the products after their shipment, can not be held responsible in any way for their non-compliance. 8.5 In order to allow customers to follow the status of Orders, Design by water generates an Order number which, inserted in the "My orders" section - accessible from all the pages of the Online Store - allows you to check all the information relating to Orders. 8.6 Customers can also check the status of Orders thanks to the online "Order Tracking" function provided by the courier chosen by Design by water for delivery. This verification can be carried out by the Customers only after the shipment of the Products and using the data for the tracking communicated by Design by water by e-mail or by accessing the Profile. (ii) the packaging of the Products is intact, undamaged, or wet or otherwise altered, even in the closing materials. 8.8 Any damage to the packaging of the Products must be immediately disputed by the Customers by affixing a written control reserve to the proof of successful delivery of the courier. It is understood that, once the courier's document has been signed without any objection, Customers can no longer raise any objection to Design by Water with reference to the external characteristics of the goods delivered. 8.9 The Products can be delivered by couriers only to Customers or to persons authorized by them; the subject to whom the Products are delivered must sign a signature to certify the delivery. Couriers do not make deliveries to post office boxes or by placing the Products in postboxes or other similar places. (ii) the indication of the Order which gave rise to the Sale and Purchase Agreement from which they intend to withdraw. (iv) Design by water will inform Clients of the methods for reimbursement of the Price and may, to this end, request customers their bank details (IBAN and holder of the c / c). 10.1 If the Products show a warranty recognized by the manufacturer of the same (commercial / conventional warranty), any faults / defects of the Products must be reported by the Customers directly to the manufacturer according to the terms and conditions indicated in the warranty. 10.2 Customers "consumers" (as defined in article 9.1) can ask the seller, within the term referred to in art. 132 of Legislative Decree 206/05 (Consumer Code), the remedies provided by the Consumer Code for defects in conformity of the existing Products at the time of delivery of the goods. 10.3 We remind you that for custom-made and / or customized products, it is not possible to exercise the right of withdrawal. Design by water declares and guarantees that the Customer's personal data will be processed in compliance with the provisions of Legislative Decree 196/03, as amended. The details relating to the methods of data processing are communicated to Customers at the time of registration as per art. 6.1 or 6.2. 13.1 Design by water undertakes to constantly check the Online Store in order to avoid errors or inaccuracies. However, it is possible that the Online Store contains, or may contain, errors, inaccuracies or omissions. 15.1 The General Conditions and the Sale and Purchase Agreements are governed by Italian law (and in particular by Legislative Decree 206 of 06/09/2005 - which, pursuant to articles 50 to 67, regulates distance contracts) and by Legislative Decree 70 of 09 / 04/2003 in the field of electronic commerce) and in the light of this must be interpreted. For further information and assistance on the Online Store or on how to purchase on the Online Store or on the Sale and Purchase Agreements, Customers can contact Design by water by Mariner Rubinetterie srl through our customer service. When you register for and use our services we collect the information that you give to us. This may include information like your name, email address, phone number, date of birth, country of residence, language, gender, and time zone. We also collect and process information about your use of our services. This can include information about your device, your location and your interaction with our services. When you use our services we may collect specific information about your device, and across your devices, such as the product model, serial number, operating system, device settings, device performance, Internet service provider, IP address and other unique identifiers. With your consent, we may collect and process information about your precise location. When we have your location information, we use it to tailor our services for you and others. We collect certain information about your interaction with our services. This could include information about your service use history. Whenever you contact us, we use the information that you provide to us to help resolve issues you might be having when you use our services. We also use information, such as your email address, to respond to you when you contact us, to let you know about changes to our policies and terms, to let you know about changes or improvements to our services and to inform you about other services that we offer. We also may permit our third-party partners to set cookies and use web beacons, SDKs, and similar technologies within our services to help us perform various internal functions necessary to operate our business and to collect information about your use of our and others’ services across your devices. These third parties may use that information to provide you advertisements, across the Internet and mobile applications and devices, about goods and services that may be of interest to you. Some of these third parties may offer you a way to opt-out of this type of targeted advertising through industry choice mechanisms. To learn more about third parties that participate in these choice offerings and to exercise choices that may be available to you, you can visit www.networkadvertising.org and www.aboutads.info. You may be able to opt out from targeted advertising through the advertising settings for your mobile device. We sometimes share your information with trusted third-party partners outside of Mariner Rubinetterie for processing. We may also share your information for other legal and business purposes, such as complying with legal process, responding to claims or inquiries, enforcing our terms, or protecting the rights, property or personal safety of our operations, our users, or the public. Your information may also be shared as part of any sale or transfer of company assets, if legally permitted. We may offer you certain controls and choices regarding the information we collect, how the information is used, and how it is shared. These controls and choices may include the ability to update, correct or delete information that you have provided to us or information that we have collected through your use of our service. They may also include the ability to opt-out of receiving notifications, promotions, offers or other advertising from us. We have implemented administrative, physical and technical security measures that are designed to protect your information from loss, theft, misuse, unauthorized access, disclosure, alteration and destruction. You should understand though that, despite our efforts, no security can be guaranteed as impenetrable. 7) holder of the data are the companies Mariner Rubinetterie srl and Design by Water. To the holders you may apply to exercise your rights envisioned by art. 7 of the Italian Law "D.Lgs. 196/03", mentioned in section 6 of this letter. 8) Within the two companies the person in charge of processing your data, according to article 7, of Italian law D. Lgs. 196 del 2003, is at Design by Water . The complete list of data processing responsibles is available at the corporale headquarters of Design by Water and Design by Water.  To receive further information or promotions, for commercial purposes, exclusively from Design by Water, linked companies or companies in charge of marketing or sales activities for Design by Water or Zerogrey.